A new vegan version of the traditional Cornish pasty has fiercely split opinion. The Cornish Vegan Pasty Company's new bake contains seitan in place of the traditional steak filling, and pastry made without egg and milk. The Cornish Pastry was granted geographical indication status (GPI) in 2002. This means products sold under the name must include specific ingredients - including beef - and be produced west of the Tamar in Cornwall. This status means some are unhappy with the new vegan product. "The Cornish Pasty PGI is very clear that any pasty being sold as a Cornish pasty and using that name must be made to the specified recipe," a spokesperson for the Cornish Pasty Association told MailOnline. 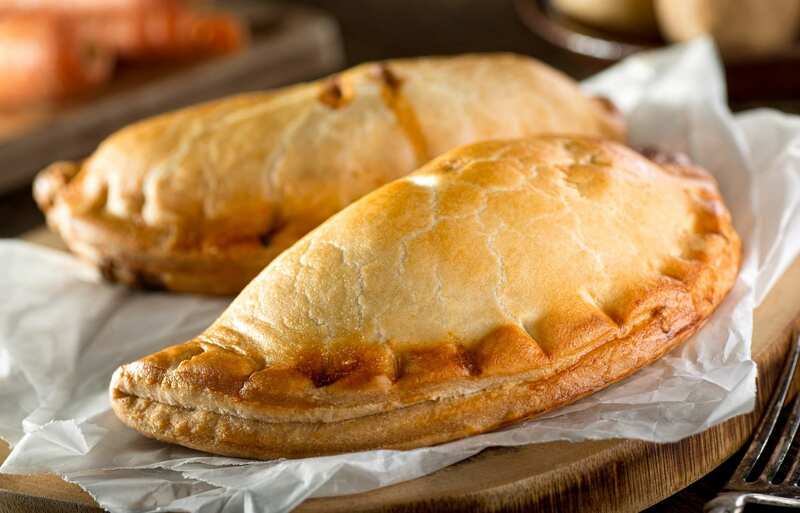 "The Association would only be concerned if one of these alternative pasties was being sold using the Cornish pasty name or passing itself off as a Cornish pasty." Some social media users were more forthright in their condemnation of the pasty, with Anthony Martin saying: "They can keep it, it's not traditional or Cornish, leave our food alone!" "Eat whatever you like, but don't call it what it isn't," Ben Paul wrote. "If its vegan, it ain't steak. If its steak, it ain't vegan!" Malcolm Martyn added: "It's not traditional steak if there is no b****y steak in it.It's minced potato peelings, fungus and Quorn pasty. Our forefathers and mother's spinning in their graves." But some Facebook users supported the launch, with Suzanne Marie saying: "Congratulations on building up a successful business. The fact that you've done so while supporting other local businesses and it being entirely cruelty-free, is phenomenal! Who says great tasting food needs to involve murder?!" Sam Grady, Founder of the Cornish Vegan Pasty Company, told local media that the pasty had been selling in large numbers. "I started the company in 2016 when I realized there wasn't much out there for vegans apart from a bland trio of veg," she said.